Jumping rope is one of the best cardiovascular exercises there is, and the fact that it can be done just about anywhere makes it even more appealing. 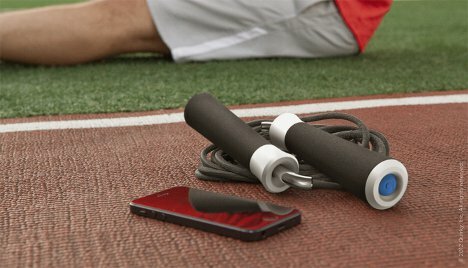 Jump ropes are traditionally cheap and simple, but this one from Quirky adds a little modern technology to the mix. 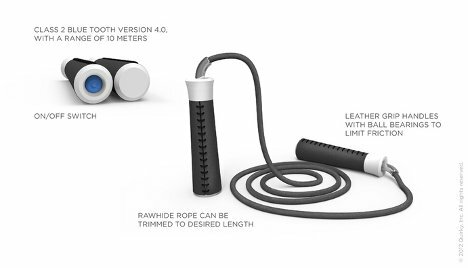 The Revolve jump rope is a futuristic take on the ancient jump rope design, adding in electronics that track the time you’ve been jumping, your number of jumps, your calories burned, and your heartbeats per minute. The associated app remembers your workout info from one jumping session to the next, letting you set challenges for yourself and work toward certain goals. There’s even a coached workout option that’ll keep you in line. Revolve is Bluetooth enabled so it can easily communicate with the app. 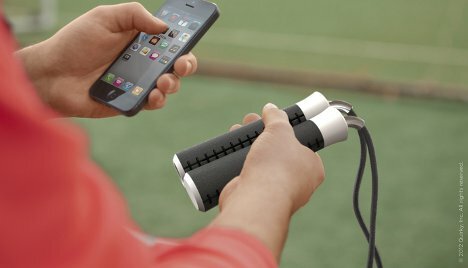 It has leather grips and high-quality parts to keep you jumping for a long time to come. Crowdsource think tank Quirky is currently working on developing the idea.